Ph.D. -- 2008 -- Mathematics, Temple University - Philadelphia, PA, USA. M.A. -- 2004 -- Mathematics, Temple University - Philadelphia, PA, USA. B.A. -- 1998 -- Mathematics, The American University of Beirut - Beirut, Lebanon. My speciality is matrix theory and my research interests include: Generalizations of Nonnegative Matrices, Perron-Frobenius Theory Generalizations and Extensions to Cones in Hilbert and Banach Spaces, Generalizations of M-Matrices, and ODE's on submanifolds of the Euclidean space. 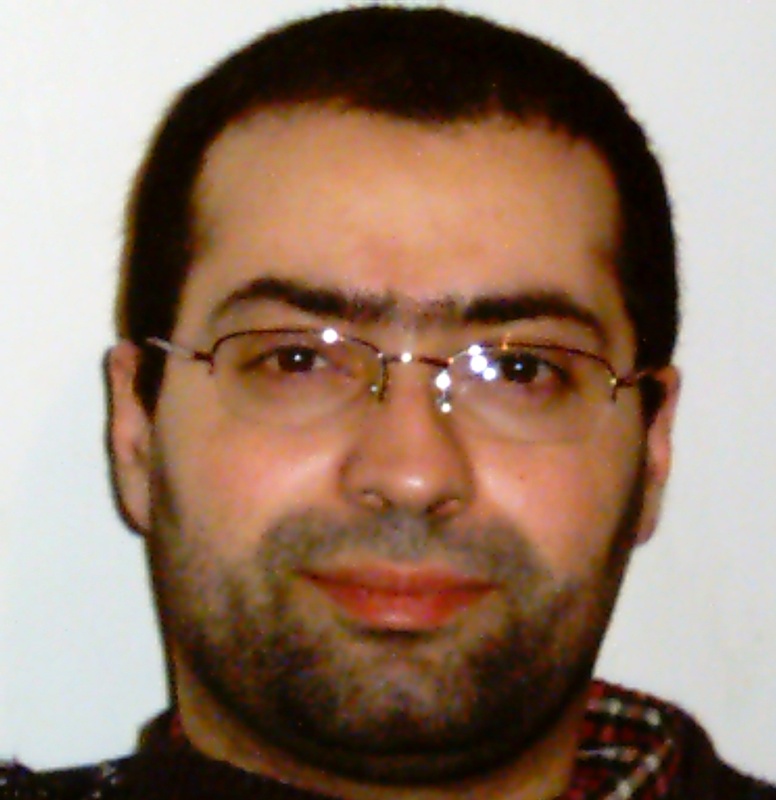 Abed Elhashash and Daniel B. Szyld, Matrix Functions Preserving Sets of Generalized Nonnegative Matrices, Electronic Journal of Linear Algebra, vol. 20 (2010) pp. 673-690. A. Berman, M. Catral, L. M. Dealba, A. Elhashash, F. J. Hall, L. Hogben, I-J Kim, D. D. Olesky, P. Tarazaga, M. J. Tsatsomeros, and P. Van Den Driessche, Sign Patterns that Allow Eventual Positivity, Electronic Journal of Linear Algebra, vol. 119 (2010) pp. 108-120. Abed Elhashash, Uriel G. Rothblum, and Daniel B. Szyld, Paths of matrices with the strong Perron-Frobenius property converging to a given matrix with the Perron-Frobenius property, Electronic Journal of Linear Algebra, vol. 19 (2009) pp. 90-97. Abed Elhashash and Daniel B. Szyld, Two characterizations of matrices with the Perron-Frobenius property, Numerical Linear Algebra with Applications, vol. 16 (2009) pp. 863-869. Abed Elhashash, Existence, Uniqueness, and Bearing Computation for the Constant-Bearing Navigational Path on an Ellipsoid of Revolution, Journal of Geometry and Symmetry in Physics, vol. 13 (2009) pp. 75-88. Abed Elhashash and Daniel B. Szyld, On general matrices having the Perron-Frobenius property, Electronic Journal of Linear Algebra, vol. 17 (2008) pp. 389-413. Abed Elhashash and Daniel B. Szyld, Generalizations of M-matrices which may not have a nonnegative inverse, Linear Algebra and its Applications vol. 429 (2008), pp. 2435-2450.
International Linear Algebra Society (ILAS). Society of Industrial and Applied Mathematics (SIAM).